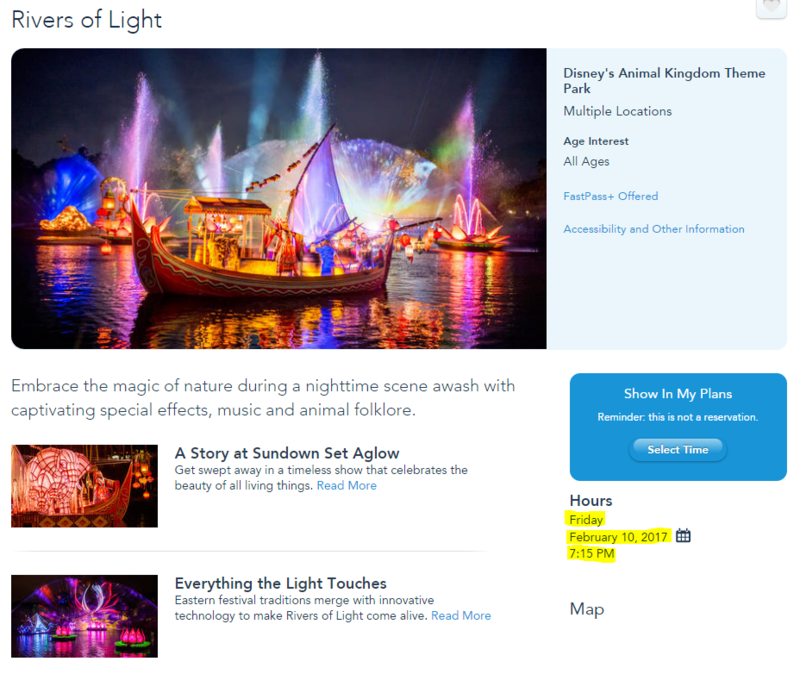 According to Disney’s site, Rivers of Light will debut TONIGHT at Animal Kingdom. This is a full week before the announced opening date, but not unexpected as cast had been scheduled to work starting tonight. Showtime is set for 7:15pm and FastPass+ is now available.